It’s been four years since the Waud Wines tourists last ventured south to enjoy the delights that this fabulous wine region has to offer, but a band of brothers and sisters recently braved the increasingly difficult to navigate Eurotunnel to make “Le grand retour a la Rhone”. 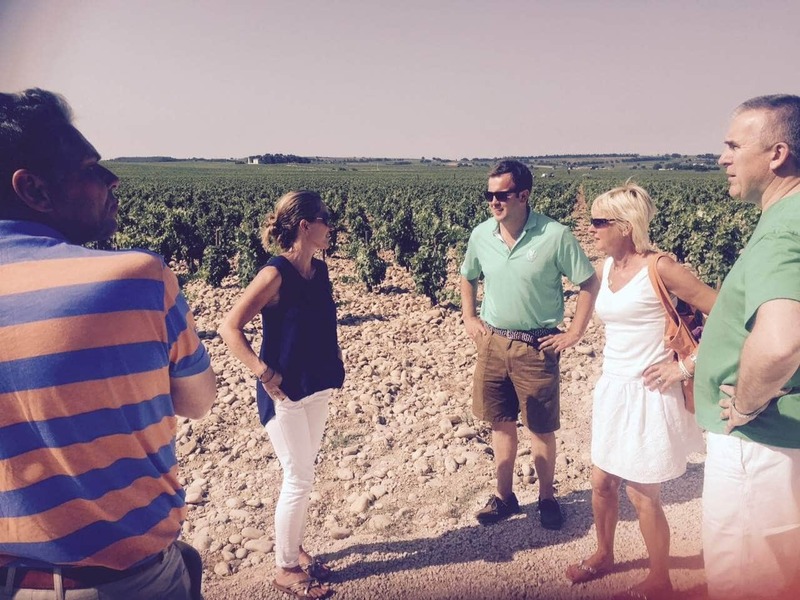 Deftly side stepping Operation Stack and multiple perplexing diversions en route, a convoy of Aston Martins, Porsches and Rollers forged a path through France on the 8th July to soak up the atmosphere and the wines at some of the Rhone valley’s most famous producers. A brief sojourn at Reims in the historic heart of the Champagne region for lunch and un petit coup de Champagne, broke up the drive down to Nuits St George, just south of Dijon. The first night was spent at the charming Hotel Le Gentilhommiere in Nuits St George, the perfect base to spend the following day exploring St Joseph, Hermitage and the Cote Rotie. We were hosted that day by the fine winemaking experts at Guigal, the producers of one the clubs classic wines; Guigal Cotes du Rhone. This was followed by a delicious lunch in Limony drinking Louis Cheze wines, before the tourists visited Domaine Cheze and Paul Jaboulet, walking their beautiful and ancient vineyards, gazing up at the iconic Hermitage Hill and being lucky enough to sample the fabled 2005 La Chapelle. Exhausted from the trials of a day tasting in glorious sunshine, the group made their way to the 19th century Le Manoir de la Roseraie, set in the middle of the historic town of Grignan. The tourists enjoyed a drinks reception in the hotel grounds followed by a meal in their award winning restaurant. Day Three was spent in the infamous vineyards of Beaucastel in Chateauneuf du Papes and its partner appellations of Vacqueras and Rasteau, visiting Sang de Cailloux and our newest wine supplier Domaine Soumade, with of course the all – important lunch stop in Beaume de Venise. An evening of wine, food and frivolity followed in Grignan to round off the tour with verve, style and tour fines before all cars headed home the next morning with new friends, new favourites and lots of bottles of wine. 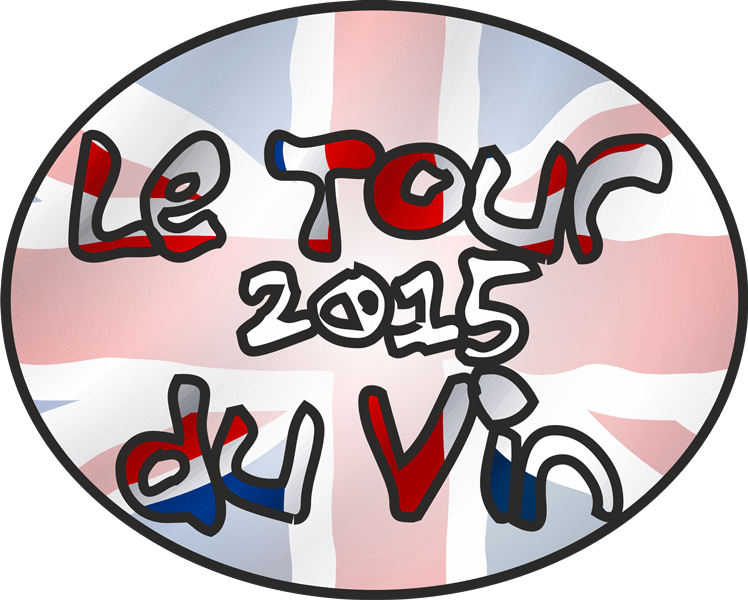 Thanks to all 18 members who came on the Tour du Vin and for making it one of the best tours to date, may there be many more excellent wine adventures with you all in the future. If you couldn’t make it this time, fear not as we have many more trips lined up for next year and two spaces still available on our Barcelona fly drive in September. 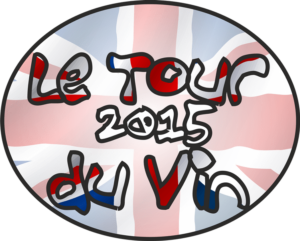 (email charles@waudwineclub.com if you would like to take the remaining slots) We also have a selection of beautiful Rhone wines for you to enjoy if the idea of having missed out on this trip has left you with an unquenchable desire to drink yourself in to a sea of Syrah induced ecstasy.